Designed for serious Astro-Imagers. 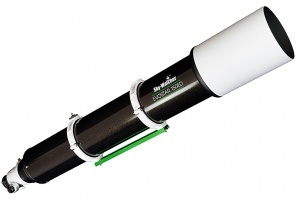 Optimised for the Evostar-150ED PRO, this superb quality accessory effectively reduces the telescope’s focal length by a factor of 0.85x and provides much improved field-edge correction. 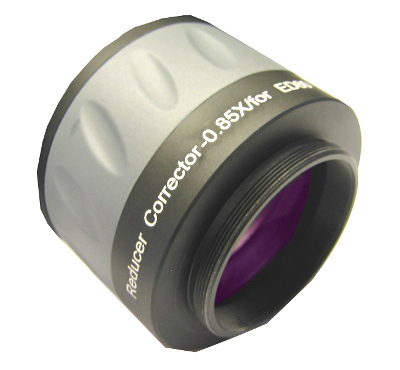 Use in conjunction with Sky-watcher’s M48 Canon or Nikon T-ring adaptors (product codes 20237 & 20238). Apochromatic Refractors, due to their unobstructed, text-book like diffraction patterns, produce the sharpest, highest quality optical imaging available, bar-none, aperture for aperture, of any telescope optical system. The high-end Evostar-150ED Apo doublet features an undisclosed combination of one Extra-Low Dispersion (ED) glass element and a matched crown element.